What if I tell you that there are hidden credit card perks a lot of people don't know of? Would you believe me? You should. This post will tell you the hidden credit card perks you can take advantage of day 1 for FREE. So, you get 5% cash back from your credit card. You also get reward points you can use for travel, food, etc. But do you ever wonder what other perks your credit cards offer that you may not be aware of? Some benefits are so common but people tend to overlook at them. 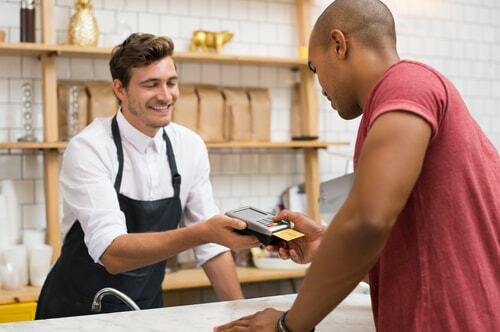 A report from CreditCards.com last year found 85 of 100 frequently-used credit cards offer at least one valuable perk, – the most common of which is the extended warranty coverage on purchases when credit cards are used. I bet you for a dollar that when you first signed up for your credit cards that you didn't read the microscopic credit card contract but saw the big texts on fees, interest rates, and all those big numbers credit cards show. 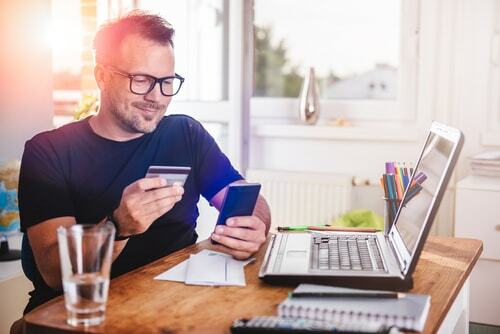 You'd be surprised to learn that there are a ton of hidden perks or benefits credit card companies offer that you can take advantage of. I was able to get reimbursement close to the full cost of the laptop through that card. Even when the manufacturer's warranty had already expired, I was able to get my money back from Discover It's product insurance protection. After that incident, I never went back to get an additional insurance policy for products I buy because both my Discover It and Capital One QuickSilver cover extended warranties. Here are some of the hidden credit card perks you may not be familiar with. Card companies don't necessarily advertise these. That said, they are benefits you can fully take advantage of. We all want to get the best price possible for the things we buy. We don't want to buy something and it turns out that a couple of days later the price of the product dropped. For example, as a feature of your Discover® card, it will refund the difference up to $500 on eligible items if you ever find a lower price at any store within 90 days of the product purchase. That's a plenty of time for price adjustment. Chances are, you'll find a cheaper on that what you paid for the things you bought. Chase -brand credit cards, on the other hand, will reimburse you up to $500 per item, maximum $2,500 per year. Citi-brand credit cards through the Price Rewind works for you as it does a 60-day search for a lower price on your purchases. If it finds one, you could receive the difference in price. Citi's Price Rewind does the work for you. Too many ‘specifics' and there's a reason for that. 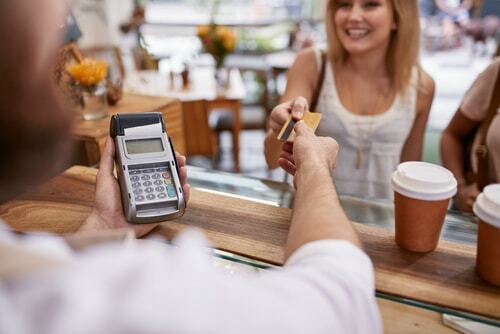 Many credit cards offer cash back at different percentages. My wife and I have three credit cards and we used them at different times for different reasons. For example, for all of our grocery purchases, we use Blue Cash Everyday® Card from American Express as it gives us 3% for grocery. We use, on the other hand, Discover It® card for rotating 5% cash back. Every quarter Discover It has cash back offer and we use that card just to get those savings. For example, every last quarter of the year is 5% cash back from retailers. Since we buy a lot of stuff during the Christmas season, we use our Discover card for those. For the biggest cash back regardless of occasions, purpose, or time, we use ®Capital One Quicksilver. We get 1.5% on all purchases. There are a lot of credit cards that now offer free credit score. These cards will give you your score every month. More interesting, some credit cards like Discover ®cards will go the extra mile by giving you Social Security alerts, which means that every time your social security is used, Discover will notify you quickly. With so many identity thefts going on, a service like this is needed. Chase® cards like the Chase Slate also provide a monthly credit score, reasons behind your score, a summarized version of your credit report, and helpful ways to help you manage your credit properly. Capital One® through its Credit Wise program not only helps you understand your score, but it also discovers factors that impact your score. You'll also have access to your credit report and Capital One will tell you what to do next if you see something odd. Do you know that when you use your credit cards to purchase something, you are getting extended warranties? For example, if the product warranty is only for one year, then, some credit cards would add another year of warranty. Some even go a little bit farther by offering a two-year extended warranty. For some small items with big price tags – appliances, televisions, or expensive jewelry – these might just be covered under Capital One®'s extended warranty. Chase® cards extend the time period of the US manufacturer's warranty by an additional year on eligible warranties of three years or less, that is, when the item is purchased with an eligible Chase card or even with the rewards earned from an eligible Chase card. The warranty covers up to $10,000 a claim with a maximum $50,000 per account. Sounds like a good deal especially when you get this coverage for free. When it comes to insurance, you don't just get product insurance (as I stated in my example above), but you also get that car rental insurance. Some credit cards even go the extra mile or two to get you more than just the standard rental car insurance in the industry. For example, Capital One Venture Rewards® Credit Card offers travel accident insurance that includes dismemberment and accidental death when you are traveling on a common carrier like a car, air, or train. On the other hand, Chase Sapphire® Preferred Credit Card comes with a $10,000 trip cancellation or trip interruption benefit. This benefit does cover trips, vacations, or pre-paid tours purchasing using the card or using the Ultimate Rewards points. When you go on travel next time or in need for a credit card with so much great travel perks, remember to read the fine prints. Have a buyer's remorse, but it's too late to return the product to the store? Don't worry a lot of credit cards would refund your money as long as the product is in a tiptop shape and you still have the original packaging and receipt. Discover® credit card holders can avail up to $500 per item. Yes, you read it right. It's up to $500 per item. As with American Express® credit cards, you'll be able to get back $300 per item up to $1,000 a year. Isn't that sound like a sweet deal? So, if you are the type of person who seems to have a lot of buyer's remorse, you may want to consider getting credit cards like Discover and American Express. This way, you can get the protection you need when you feel like returning the products you bought even after you can't return them anymore. You finally got the phone you wanted. You spent a thousand bucks or close to it. You are using it and loving it. Then, the worst thing happens. You dropped it, broke it, and it's no longer working. Or your phone gets stolen. The world comes crashing down… well, not yet. Or it shouldn't be. Credit cards like Wells Fargo® Platinum card will buy you another one. That's a free feature that Wells Fargo Platinum card is known for. Cell phone protection is supplemental to other types of insurance. So, make sure to read the fine print to understand what is covered and what isn't. I bet you didn't know you can get a lower price for a car with your credit card. American Express® has a car-buying program that you can use online to build your own dream car, get a target price based on how much others paid. You can also find a list of certified dealers before you even go to the dealer or start finding your car. According to American Express, its customers save around $2,700 on average of suggested retail price (SRP). That's without negotiation. Better yet, some used car dealers will even agree to a money-back guarantee that takes away the stress from the customers when it comes to buying a crappy, lemon car. Do you ever go to museums and pay to visit them? If your answer is yes, then, you would find Bank of America credit cards the perfect cards for you. You can earn a free general admission to museums around the country on the first full weekend of each of the calendar month. All you need to do is present your Bank of America® or Merrill Lynch® debit or credit card and photo ID. Some of the participating museums include the American Museum of Natural History, The Metropolitan Museum of Art, and the Intrepid Sea, Air & Space Museum. Believe it or not, your credit card can get you concert tickets, passes, and other concert perks that may not be available yet to the public. If you are a concertgoer or somebody who wants early access to concert tickets before they are open for public purchase, the following credit cards are designed for you. For example, Citi cardholders can score good tickets through Citi® Private Pass®. 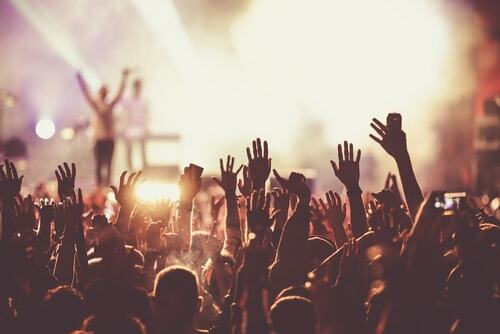 On the other hand, American Express® Card Members enjoy the exclusive access to tickets for a lot of concerts and/or live events before the tickets are sold to the public. From time to time, American Express also offers discounted tickets. If you hold a Chase credit card, you can get access to super unique events through the Inside Access. If you are a New York resident and has a Chase card, you can access a wide range of concerts organized by the Madison Garden Company. Whenever you get a new card or before you use your current ones, make sure you read the fine print and ask questions to your credit card representatives to know what perks your cards offer. As seen above, these aren't really advertised by your credit card companies. Sometimes, you need to ask them before they give you the information. Which of these cards do you have? Do you know these hidden credit card perks? Which of these cards do you like to have and which ones are you getting?